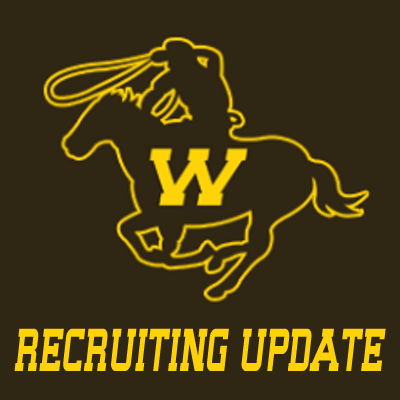 The Wyoming coaching staff has picked up their 11th verbal commitment in 6’8″, 260-pound defensive tackle Ja’Chai Baker out of Council Bluff (IA) Lewis Central High School. Lewis Central finished their season with a 8-3 record (4A) and with his season over Baker visited the Cowboys during the weekend of December 19th-21st officially. He was offered by Wyoming on October 24th. His only offer up until this point was from Wyoming but he had heavy interest from the likes of Iowa, Iowa State, Northern Iowa, Nebraska, South Dakota State and others. He unofficially visited Iowa, Iowa State and Nebraska. He had planned to officially visit both South Dakota State and Northern Iowa but it is unknown at this time if he took those official visits along with Wyoming. Baker is being looked at mostly as a 3-Tech defensive tackle once he sets foot onto the Laramie campus. Offensive line coach Scott Fuchs was responsible in landing the 6’8″ Iowan.